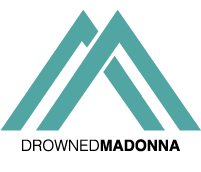 DrewG & DJ Brian Cua aka DirtyPop have a special gift for all Madonna fans. A limited release of The..
It’s easy to forget what a pioneer for gay rights Madonna has been. During the 1980s and early 1990s, at..
UK Official Charts: Rebel Heart #7, Celebration #31. New entry for Ghosttown! Good second week for Madonna‘s Rebel Heart on the UK Official Albums Chart Top 100: down five to #7 with 11,983..